A key theme at this years’ Mobile World Congress was the rapid emergence of the Internet of Things as key future growth area for product, solution providers and telco operators. IoT is taking off, and in a big way, evidenced by the massive amount of IoT solutions and applications shown at MWC. Every year the GSMA runs the Global Mobile Awards contest, which honors excellence and innovation across the mobile industry. Recently we spent a week at the Mobile World Congress in Barcelona – the world’s largest event dedicated to everything mobile. Although the show has been going for many years, it is still the best place to be if you want to see what is happening in the mobile business, and have a chance to meet those that are making it happen. The winners of the mWomen mobile application awards were announced recently at the Mobile World Congress in Barcelona. The free tickets for Mobile World Congress 2011 have been oversubscribed, so we are closing the entry. 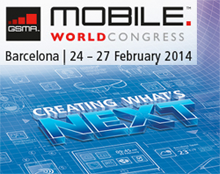 The App Planet is shaping up to be one of the highlights of this year’s GSMA Mobile World Congress in Barcelona. Billed as an “event within an event”, the App Planet is setup to let all MWC attendees learn more about this important and rapidly evolving mobile phenomenon.